The ocean views and surrounding scenery provide a peaceful ambiance to your vacation home in Kailua-Kona. Renowned for its snorkeling, shopping and coffeehouses, this city welcomes all visitors. Hulihee Palace and Hapuna Beach State Park are just a couple of the must-sees in the area. Many rental homes come with outdoor spaces, separate dining areas and full kitchens, perfect if you want to enjoy some home-cooked meals. 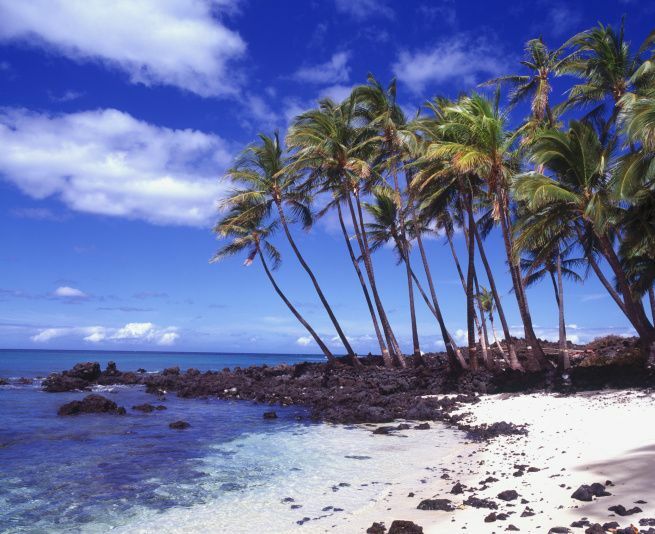 Travelers speak highly of Kailua-Kona for its snorkeling. If you're planning a vacation around the weather, September, August, July and October are the hottest months to visit, when temperatures average 87°F. Fly into Kailua-Kona, HI (KOA-Kona Intl. ), the closest airport, located 11 mi (17.7 km) from the city center. If you can't find a flight that works for your travel itinerary, you might consider flying into Kamuela, HI (MUE-Waimea-Kohala), which is 21.1 mi (33.9 km) away. Where to stay near Kailua Kona? Our 2019 vacation rental listings offer a large selection of 3,582 house rentals near Kailua Kona. From 848 Houses to 1,996 Condos/Apartments, find unique vacation rental for you to enjoy a memorable holiday or a weekend with your family and friends. The best place to stay near Kailua Kona is on HomeAway. What is the best area to stay when travelling to Kailua Kona? What are the popular points of interest near where I can stay when travelling to Kailua Kona? But there are many other points of interest around Kailua Kona listed on HomeAway where you can find your place to stay. Please use our search bar to access the selection of vacation rentals available near the point of interest of your choice. Can I rent Houses in Kailua Kona? Can I find a vacation rental with pool in Kailua Kona? Yes, you can select your preferred vacation rental with pool among our 2,860 vacation homes with pool available in Kailua Kona.